I’m not going to tell you I’ve had a change of heart about the book Jesus Calling, because I’ve never really read the book in the first place. I’ve written about it here and have simply noted the concerns that some had over the use of the first-person narrative to speak as though it is God speaking, but also noted this is far from the first book to use that format. I realize some of you haven’t been in touch with where the doctrinal issues in this book arise. Much of the discussion online has to do with the fact that this book is part of a very small subset of devotional literature where the words on the page appear as a direct message to the reader from God. In other words, the (human) author purports to be writing this as God, speaking in the first person; “I” instead of “He.” Consider Francis Roberts’ Come Away My Beloved, Larry Crabb’s 66 Love Letters, Sheri Rose Shepherd’s His Princess series, Paul Pastor’s The Listening Day and Sarah Young’s Jesus Calling and Jesus Always as examples of this; you’ll also find this type of writing on some blogs. That’s not the entirety of some people’s objections, but it’s a large part. Early this morning, unable to get back to sleep at 3:30, I read what I consider a generally excellent article on how to spot false teachers. I should say right here that the term “false teacher” leaves no middle ground, no room for nuance, no possibility of the person getting 90% of doctrine right, but 10% wrong. When people use that particular term, it’s all-or-nothing. When someone comes forward in the Christian community with a new fresh way of understanding certain doctrines or teachings, the general Christian community tends to eat it up. Think of William P. Young’s The Shack, or Sarah Young’s Jesus Calling, or Rob Bell’s Love Wins. All of these books abandoned Christian doctrine, and yet were immensely popular. The false teacher uses their wit, uses their intelligence and uses their ‘godliness’ from a place of arrogance and pride for the express purpose of their own personal gain. I think there’s a danger here that someone will conflate “fresh way of understanding certain doctrines…” with “arrogance…pride…personal gain.” I’m betting the writer has one or two more recent commentaries on his shelf that also provide us with fresh insights into the scriptures. But I’ll leave that aside. My single purpose in writing this is simply to say that I think the article loses its overall value when it starts mentioning names. Out of all the Christian literature out there, these acquaintances see Jesus Calling as their best bet in connecting with those in their own sphere of influence. At that point, I don’t argue or try to dissuade them from their purchase. ♦ First, we shouldn’t be too quick to condemn a particular pastor, speaker, author whom God is using in the lives of someone else. ♦ Second, we shouldn’t be too quick to recommend a particular pastor, speaker, author about whom others have real concerns. In other words, definitely write articles on how to spot false teachers. At least two of Paul’s letters have this as a primary focus. But be slow to name names. Let the discerning process be cultivated in the individual as they mature in Christ and gently guide them to a place where their eyes are wide open. The Mind Changers – Emory Griffin – Compared the evangelism process to candle-making with three stages: Melt, mold, make hard. Was recommended at a conference. Contemporary Christian Communication – James Engle – Central to this was a chart showing the spiritual formation process from pre-conversion to decision to post-decision. The Translation Debate – Clark Glassman – From the perspective of a Bible translator this looks at the challenges faced on the mission field. Wish IVP could find a way to revise and update this. Shout it From the Housetops – Pat Robertson – Not exactly a popular name with some people today, but this early bio challenged me as Pat and his wife Dede sacrificed a posh lifestyle to buy a rundown TV station. Destined for the Throne – Paul Billheimer – This was the first doctrinal book I was encouraged to purchase in the two years I was attending a charismatic congregation. It was recently repackaged. Flirting with the World – John White – Showed that it’s the inner life that matters, not the externals by which people might be judged. The Pursuit of Holiness – Jerry Bridges – A wonderful companion read to the above title, this proved to be Bridges’ signature work. Your God Is To Small – J. B. Phillips – Especially the first half, dealing with the false ideas people have about God. Should be required reading. The Liberator and The Word on the Street – Rob Lacey – Written for street youth in Manchester, England this was the most extreme paraphrase I’d ever encountered. The Jesus I Never Knew – Philip Yancey – Based on some well-made and badly-made films on the life of Christ, a look at shaping an accurate picture of Jesus. Theology for Non-Theologians – James Cantelon – One of the first of many I would read in the theodicy genre. Radical – David Platt – A challenge to be aware of and consider giving time to the cause of third world missions. Irresistible Revolution – Shane Claiborne – What happens when a young man takes the teaching in an Eastern College course seriously. Mark and Luke – Michael Card – There are actually four gospels in the series, I read these two and on each page Card brings the narratives to life in a fresh way. Jim and Caspar Go to Church – Jim Henderson – Our modern church scene through the eyes of an atheist. The Shack – Wm. 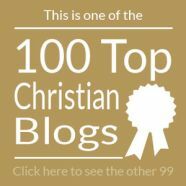 Paul Young – Love it or hate it you have to admit this started a ton of conversations about the nature of God and the place of Christian fiction. Days of Elijah – R. T. Kendall – For an Old Testament study, Kendall brought a lot of Christ to the table in this look at key Bible figure. Not a Fan – Kyle Idleman – A great “first book” for a new Christian; it is a good representation of the Christian Living genre previously typified by Lucado and Swindoll. If You Want to Walk on Water You’ve Got to Get out of the Boat – John Ortberg – Maybe it was because I read this concurrent with the video series; a great faith-builder. There’s also the writers who brought significant elements to the discussion table; alternative thinkers like Rob Bell and Brian McLaren; church planters like Michael Frost and intellectuals like Greg Boyd. I’m sure I could have listed this many again and I’ve left out somethings I would have wanted to include. The reviews on the blog are also books I recommend. I’ll be away the day this publishes, so if you leave a comment and it gets caught in moderation, I’ll catch up to it eventually. Increasingly, I’m finding there is a certain genre of Christian books that is attracting larger numbers of us: Books having to do with the world at the time of the New Testament. A Visual Guide To Bible Events: Fascinating Insights into Where They Happened and Why by James C. Martin et al. Thanks to Tim for some additional titles. One of the recurring themes in my 9:00 to 5:00 world is a challenge to people, especially men, to be readers. There is a great need in families for children to observe and thereby have memories of their father sitting in a chair reading. I’m not picky on this; I’ll settle for a newspaper or magazine. Reading separates us from the animals. I know this firsthand, as my cat was never much of a reader, and the one time I owned a dog, while he seemed enthusiastic about books, he would prefer to chew a book’s cover over cracking it open. …But this weekend, as I thought about this further, I realize that we’re also in the middle of a crisis involving resource engagement, especially in the church. There was a time we would talk about the buy-in factor. The church would have a special presentation on a weeknight, and the congregation would be encouraged to be there, but attendance was sparse. There would be a special project on the weekend, but few would sign-up. There would be a conference or retreat scheduled, but registration would be low. The special speaker brought a carton of books for sale, but only a handful of people would drop by his table. We probably have more resources available to us than at any time in history. …Enough cursing the darkness. How do we light a candle? How do we increase the buy-in? How do we get Christians to realize the wealth of resources that is available to them which they are basically ignoring and not utilizing? How do we ignite and fuel the passion? You will learn much from these two products that were originally produced for a much younger audience. If you can’t justify the expense in a kid-less home, rent a kid for the weekend. 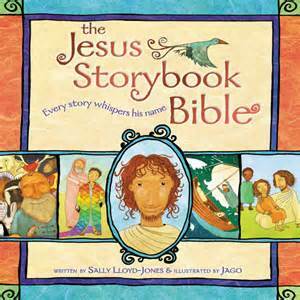 The Jesus Storybook Bible: Every Story Whispers His Name by Sally Lloyd-Jones (Zondervan). We attended a weekend seminar where the speaker walked up to the pulpit carrying only this book. While it doesn’t replace a regular Bible, it shows how the classic stories we read to our children anticipate or foreshadow the coming of Christ. Probably one of the few Children’s Bible story books to receive critical acclaim by theologians. If you can’t bring yourself to own a kids title, in October the book is releasing in an adult edition as The Story of God’s Love for You. Buck Denver Asks “What’s In The Bible?” by Phil Vischer (Jellyfish Labs). Regular listeners to his podcast know that the Veggie Tales creator decided to go beyond the moralism of the video series that made him well-known, and this time around teach the Bible narrative instead. There are sections of these stories that evidence the input of Christian education and theological specialists. There’s a lot of inane banter between the puppet characters, but in-between, there are lessons for both kids and adults that begin with the first introductory kid-friendly segment about Bible inspiration and interpretation. Each episode is about an hour with a break in the middle. 13 DVDs will set you back, so look for bundles like the one pictured here. A second series is now in production. Check out an interview with Sally Lloyd-Jones on the Tuesday, June 19th edition of the Eric Metaxas Show, hour #2. Check out the Phil Vischer Podcast and the What’s In The Bible website. I’ve written before about the common thread in all the different ministry ventures I’ve worked with. With radio, I got to introduce people to new songs and new artists. With worship leading, I got to connect people to vehicles that could be part of their personal expression of praise to God. As a book and music reviewer, the motivation was more obvious. As a blogger, I get to share information about other voices online. As a link list curator for Leadership Journal, I was able, by the news and opinion pieces I noted, to be influential in the lives of Christian leaders. I guess I like facilitating a whole load of networking. But let’s return to radio for a minute. If I were to return to it — and I did look into various avenues — I would no longer get to choose the songs being played unless I brokered the airtime and picked the playlist myself. 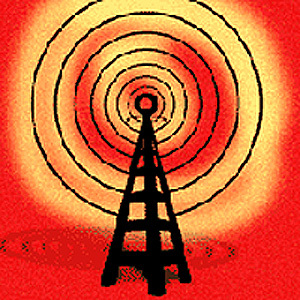 Radio stations either use consultants or have their own formula for choosing what goes into the rotation. Even the morning show guys, when they’re done with their banter, simply play the next song on the list. You could solve this, I suppose by being the consultant or music director, but there are only so many openings, and even in small-to-medium markets, it’s often just one guy who controls a number of regional stations. With worship leading, similar formulas apply. There’s often a tacit understanding that if a new song was introduced by last week’s team, you’re expected to continue with that song over the next three weeks. In demographically wide churches, you draw from different sources representing different ages and tastes to create an eclectic music set. Music reviews largely don’t exist. Unless you write for Relevant Magazine, you’re about 500 times more likely to receive books in the mail to review than a CD. (We’ve reviewed several here, but it’s the exception, not the rule.) Bloggers tend not to be excited about specific books as they were five years ago; as Christian publishing faces challenges there are fewer and fewer new writers stepping onto the scene; and there appears not to be the push by publishers to utilize social media. With my role at PARSE now ended, I look for new ways to share the passion of sharing. The one role that never ends is my two days a week at the Christian bookstore. There, I still have some influence, though there is always the suspicion on the part of some that I’m wearing my shopkeeper hat, and not my role as friend, counselor, or helper. Where ministry and retail converge, it’s not always an ideal fit. My observation there is always the same: The greatest connector for people and products is the local church pastor, but for that to work, the pastors first need to know about the book in question, and most don’t have the interest, the time, or both. 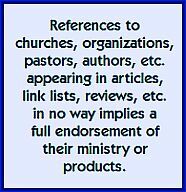 But trust me, from YouTube to the Christian blogosphere to the world of Christian music and publishing, there are a ton of resources out there. Finding and utilize them will enrich your life, and the lives of family members, extended family, neighbors, co-workers and others in your circle. 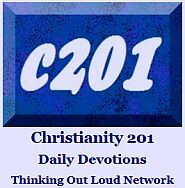 The 1970’s saw the birth of the daily live Christian television talk shows, starting with programs such as The 700 Club, and along with those shows came the banks of telephone counselors waiting to counsel, pray with and process donations for viewers. In later years, I was actually on the receiving end of those calls for two different ministry organizations, and as is typical — hindsight is always 20/20 — I wish I had known then what I know now. In some cases, I simply didn’t see what Ravi Zacharias often looks for, ‘the question behind the question.’ Also, I was too young to be a ‘counselor’ in any sense of the word. Maybe someone should establish a national call-in line just for people looking for a recommendation to existing resources. It’s not just a Christian television issue, there are pastors out there today who probably don’t have the least inkling of the wealth of printed (and audio and DVD) resources that address subjects they are trying to deal with. The average Christian bookseller is probably in tune with at least ten times the knowledge of available products. And that’s just off the top of their heads, without next appealing to various search engines, and then applying their wisdom as to what constitutes a trustworthy publication. Instead, we’re left with the ‘Wild, Wild West’ that is the internet. People go online seeking advice, not necessarily knowing who is behind the websites they’re reading. Counseling from Christian organizations has gone online as well, but the telephone counselor has been replaced with a keyboard counselor who is probably suffering from the same dearth of knowledge as to Christian print and media titles, or even what’s available on other websites. TV ministry counselors are trained to recognize certain key subject areas of need and are then given information sheets containing key scripture verses; they are encouraged to present this material and then offer to pray with the caller. A little Bible knowledge and a willingness to pray over the phone (or internet) is the primary qualification for service. Some are urged to press each caller for a donation. Sigh! There was, however, one place of refuge for the seeker of practical Christian advice, or deeper understanding of the scriptures: The Christian bookstore. Take the Christian bookstores out of the equation, not to mention the relative losses of people who worked in, managed, or owned such stores, and the gap between products and people continues to grow. Of course, online vendors carry the same products, and online resources provide today’s consumer with a host of means to verify the spiritual credibility of a particular website or product, if they choose to investigate. But securing the connection between need and applicable resource takes a different route, and again, there is often no filter or criteria for recommending a given resource or website; whereas a seasoned or veteran employee in Christian publishing learns to recognize the different doctrinal streams and what publishers and organizations are going to offer advice tailored to the need at hand. It’s too bad there aren’t more people answering the phones and online inquiries who are well-versed in the current catalogue of Christian products, not only the publishing industry’s ‘front-list’ of current and popular titles, but also the ‘back-list’ of perennial resources with a proven track record. The next time you’re in a Christian bookstore — if you can still find one — walk by the music department and check out the variety of CDs in the contemporary section. While music labels have severely cut budgets and curtailed new artist development, new titles and new bands arrive each month and — partially thanks to social media that is part of the technological wave undermining those very music departments — find their way to an audience. I owe my Christian heritage partially to bands and soloists like the ones you see on those racks. I’m not saying I would not be where I am today were it not for the whole CCM (Contemporary Christian Music) scene, but truthfully these guys mentored and shaped my faith in a variety of ways. Today, I am more than happy to share new artists with others, though my greater passion has switched to books and online resources. Oddly enough, it’s only recently that I connected the dots between my desire to “spread the word” about Christian print and music products and my blogging. Shortly after discovering CCM, I started writing record reviews for both print and secular publications. Then I started a radio show. Then I got into the Christian bookstore industry, though I came at it sideways as someone who was more of an alternative to traditional retail than someone who later became a part of that industry. As a worship leader, part of my mandate was to introduce local churches to new worship leaders, new worship styles, and most importantly new worship songs. I came directly off leading worship in several churches into blogging, where I now get to reach the greatest audience and create awareness for the broadest number of causes, opinions, events, movements and resources. And I write book reviews here. Which means I’ve either come full circle, or I haven’t gained any ground at all. In person, I probably have a credibility gap because I treat every book as if it’s the best thing I’ve ever read. But that’s what passion is; I think some people don’t allow themselves to be infused with passion about different things, places, ideas, institutions, events, etc. I say that I only connected those dots recently. Part of that was the realization that I was also a passionate evangelist for a soft drink. I don’t know if you can buy Brio in the U.S.; heck, I’m not even sure if it reaches all of Canada. I tasted it for the first time more than two decades ago at an Italian restaurant in east Toronto. It’s sort of similar to Coke or Pepsi, maybe a bit more bitter. It goes great with pasta, lasagna, or pizza. Non-alcoholic. As you can see, we’ve purchased it over the years in a variety of formats. When the conversation comes up — which it doesn’t very often — I can be counted on to recommend people stop by the local grocery store that carries the plastic bottle second from the left. We buy it even if we already have a few on hand, so that the grocery store’s computer will show the inventory as active. I order it in Italian restaurants that carry it. The difference between Brio and the stuff I write about here, is that in the latter case, I make the conversation happen. I like Brio, but I don’t overflow with it as a topic like the drink itself does — it’s highly carbonated — when you pour a glass. In the case of my faith — especially in the case of Jesus I — I do in fact overflow and will steer the conversation in that direction. While I enjoy connecting people to life-changing resources, our ultimate goal is to connect people to a person. What do you share with the people you come in contact with? What’s the first thing you think about each morning? What do you talk about when it’s your chance to control the conversation? The Bridge Chicago is a new ministry project from Mission:USA. On this blog, we’re drawing on decades of experience in front line ministry to provide help and materials to people trying to reach others for Jesus in their own communities. The materials you find on this blog include media that you can purchase. The purchase price helps cover the cost of making it, and supports missionaries raised up from within the inner city who do not have other means of raising support. There is a wide spectrum of music and interesting articles to hear and see at The Bridge. Be sure to bookmark this site. Click here to view The Bridge Chicago. Make sure your flash player is up to date; the street is your navigation bar. After viewing the streetscape on the landing page — use your cursor to go further down the block — you have many choices where to go next, and the possibilities seem new each day. There are articles to read at Java Juice Blog House, videos in The Grove Theater, sermon podcasts in CityPod Studios, leadership articles at Watermark Workshop, food ideas at Café on the Square, parenting advice at Momzie, talk tech at Converge, discuss cultural trends at Denison Forum, and no surprise, you can buy books at the Faith Village Bookstore. You can engage in social media in The Lofts at Faith Village either as an individual, a group or even as a church. There’s a whole space for youth 13-18 called Revolution called revultn; and also one for college kids (that looks like a frat house) called Epic House. There are academic sites at Faith Village University. There are also some parts of Faith Village still under construction. This website is somebody’s labor of love to be sure. It sets the bar just a little bit higher as to what an ideal internet site can do. But who is behind this? The last stop on the second streetscape is Dallas Baptist University. Is that a clue? Is this some Christian college’s masterminded recruitment site? If it is, sign me up. Click here to view Faith Village.